Learn to swim the RIGHT way! Classes have set routines with songs to encourage and give confidence to babies. Breath control, survival skills, reflex action and floating drills are the focus of this class, teaching your babies life saving skills. Because of an increasing physical ability and mobility, toddlers start to experience a broader range of activities and drills. Similar to D1 classes, we teach breath control, survival skills, reflex action and floating drills. Toddlers are now quite advanced with their water confidence, floating and reflex action skills but still need Mum or Dad to lend a hand. This level is designed to challenge toddlers, learning new important drills to prepare them for our Flippa’s Program while slowing weaning Mum and Dad out of the class. The goal of these classes is to give your child a high degree of WATER AWARENESS AND DROWNING PREVENTION through constant repetition of exercises in classes over a consistent period of time. 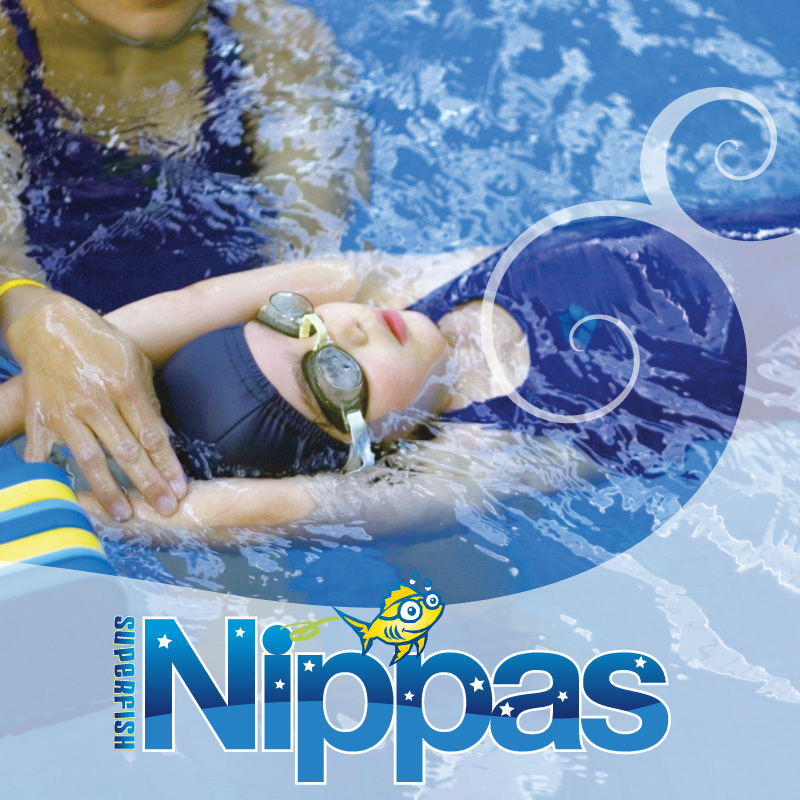 We recommend 2 LESSONS PER WEEK for your child to learn a high level of water safety awareness. These classes are an education for both infants and parents. The most important step for our FC1 swimmers is to achieve shallow water confidence and water awareness. Children will learn breath control, floating, long arm under water paddles, streamline kicking, kicking on a board, submersion drills, reflex action and survival skills. FC2 children will learn deep water confidence and deep water awareness. Children will learn correct head and body positions, long arm under water paddles, streamline kicking sills, concentrating on length and strength of stroke. We teach lots of kicking drills, to develop a very strong “motor” for both freestyle and backstroke. This program focusses on WATER AWARENESS. Once a level of independent water awareness is attained we can combine this with learning correct, basic swimming drills. Children are encouraged to achieve these water awareness and swimming skills through repetitions over a consistent period of time. For optimum results we recommend 2 LESSONS PER WEEK. 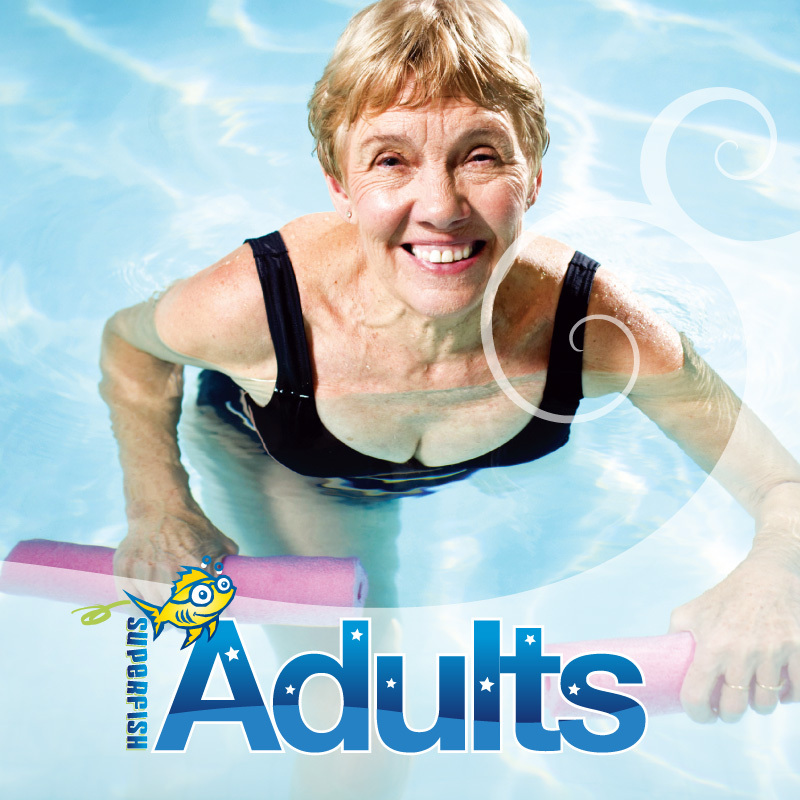 A 5 level program covers Basic Learn to Swim through to Advanced Stroke Correction. Comfortable, well balanced head and body positions are taught – vitally important in freestyle and backstroke. Focus is also on short distance drills to achieve straight arm, superstretch freestyle and backstroke, kicking drills and advanced deep water awareness activities. Breastroke Kick is also introduced. Correct side breathing technique in freestyle is now taught and now that children have perfected a streamline head and body position we look for length and strength in freestyle arms and a very strong kicking leg action. We introduce more backstroke drills and breaststroke kick. We still perform short distance lessons that focus on perfecting technique. Now swimming freestyle and backstroke with efficient stroke technique, we introduce longer distances and more advanced drill work. Breaststroke stroke and kick co-ordination are perfected and butterfly kick introduced. Focus on maintaining an excellent stroke technique while completing longer distances. With a good foundation in freestyle, backstroke and breaststroke techniques, we introduce advanced stroke technique drills. Butterfly skills and drills are developed while race dives, turns and push offs are further advanced. Whilst still developing stroke techniques in all four strokes, we introduce a “keyhole” butterfly stroke pattern. Race dives, turns and push offs are perfected and timed and clock sets are taught to understand squad work. We now see children who have a consistent stroke over long distances. We invest time to learn the basics of swimming, then focus heavily on the importance of perfecting stroke techniques before attempting to swim longer distances. FREE Life-Saving Baby Water Familiarisation Lessons for 3-5 month old babies. To the value of $210! Enrol now! Up to 12 lessons FREE – no obligation! FREE 45 Minute Drowning Prevention Orientation Class plus a FREE Trial Lesson for children under 3 years! For all new babies and toddlers when commencing lessons at SUPERFISH. enrolled in a SUPERFISH Program. Mon-Sat during scheduled times, see timetable. CONDITIONS APPLY. 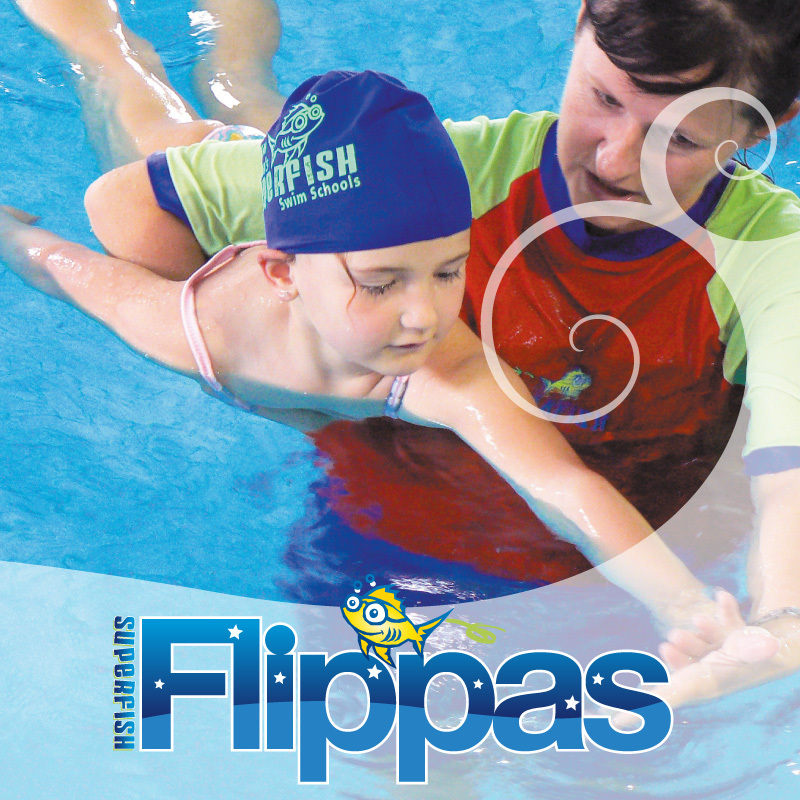 FREE Assessment and FREE Trial Swimming Lesson for all children over 3 years! Obligation free. Valid for new customers only. These children are now training at a competitive level for school, regional and state level swimming. 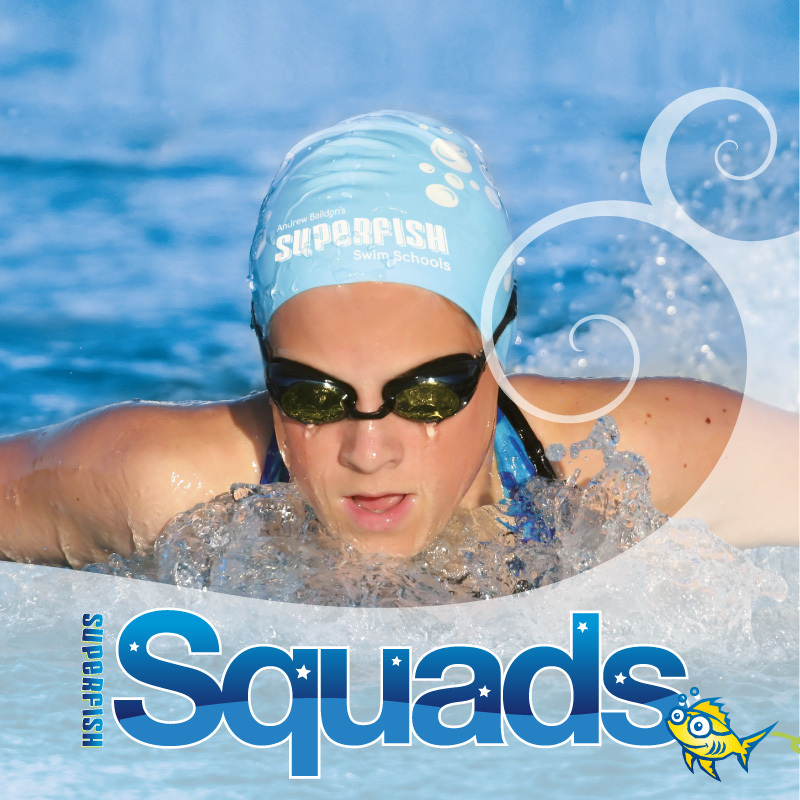 For optimum results for the level of ability swimmers have now reached, squad swimmers are advised to train at recommended number of sessions per week, outlined by squad coach and in the SUPERFISH Swim Schools’ Senior Squad Brochure. Students will be required to have a swimming assessment to qualify for the Superfish Squad Program. Students are assessed based on their swimming skills over all 4 strokes, current fitness level and suitability for entering a Squad program. You will be requested to complete an enrolment form. Our office staff will assist you in finding session days and the times. Superfish Swim Schools recommend the following guidelines based on the swimmers age. We recommend this as a minimum requirement for optimum results. This program has been outlined by Andrew Baildon and Denis Cotterell, Master Coach, Australian Coach of the Year, Olympic Coach, in conjunction with our squad coaches at Andrew Baildon’s Superfish Swim Schools. history, payments, session attendances and make-up sessions are recorded. Swimmers will nominate days per week that they will attend. These are permanent sessions booked. Your nominated sessions will be automatically carried over from month to month, unless you instruct administration otherwise. Session bookings remain until you notify administration of a change, either a permanent session change with days nominated, or to cease Squad. Squad sessions have restricted numbers. Your booking guarantees your placement each session. An unsurpassed Senior Squad program, created by our swimming champions, for swimming champions. Get fit, have fun, make friends! Indoor heated pools with exceptional water quality! One-to-one tuition, tailored to your needs. Available 6 days a week (for adults and children). Enjoy swimming in our year round, indoor heated pools. No bookings are required! Improve your fitness, have fun and meet people. All fitness standards are catered for within our fantastic programs, with our qualified coaches. A fantastic cardiovascular workout, lose weight, body fat and gain strength while the warm water relaxes you and increases circulation. A low-impact, fun way to fitness! We make it easier for schools! Acclaimed swimming programs for Primary Schools in South East Queensland, at Pacific Pines and Benowa on the Gold Coast, and Sunnybank, Brisbane. Our centres are indoors and pool water is heated to a consistent 30-31˚ all year. We can comfortably accommodate up to 50-60 primary students at the one time-slot. 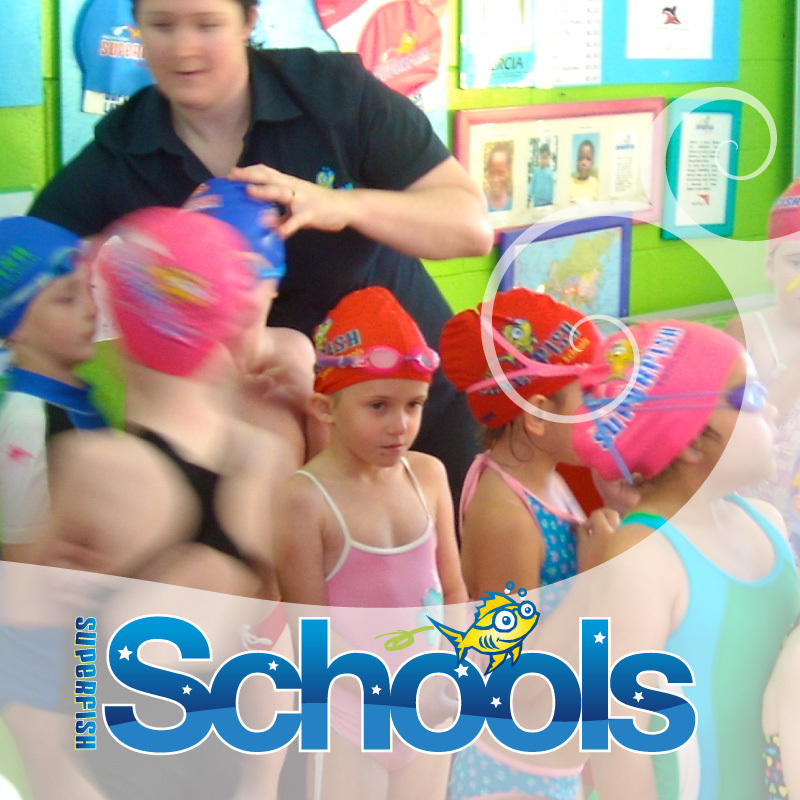 Our School Swimming Instructors are all fully qualified and are especially trained in conducting School Swimming Programs. The pool is available at your disposal five days a week for all four terms of the school year, dependent on availability with other School’s bookings. We provide your families with our detailed ‘Parents Information Letter’ prior to the commencement of the swim program. We provide your school teachers with our detailed ‘Teacher Information Sheet’ prior to the commencement of the swim program. Each student receives a Colour Certificate, outlining student’s swimming levels and discount vouchers for further lessons at the completion of every program. We offer bus transportation for the swimming program. All children will be assessed on the 1st lesson day and then graded into groups according to their ability and swimming skills. Our staff make every effort to ensure that every child, regardless of if they swim at other swim centres, feels welcome and comfortable in our facility. Our schools program offers your students a range of programs all designed to cater to your busy school schedule. Programs include assistance with class rostering and organisation, to make this program ‘hassle free’ for your school. A 7 level ‘Swim and Survive Program’ run by The Royal Life Saving Society of Australia with Royal Life Saving Australia certificates. A ‘fun’ swimming day on the final day of the program, with water games and activities. Carnivals on the final day of each program. Swimming Time Trials for each Student at the completion of the program. Kindergarten Programs & Child Care School Holiday Programs also available. 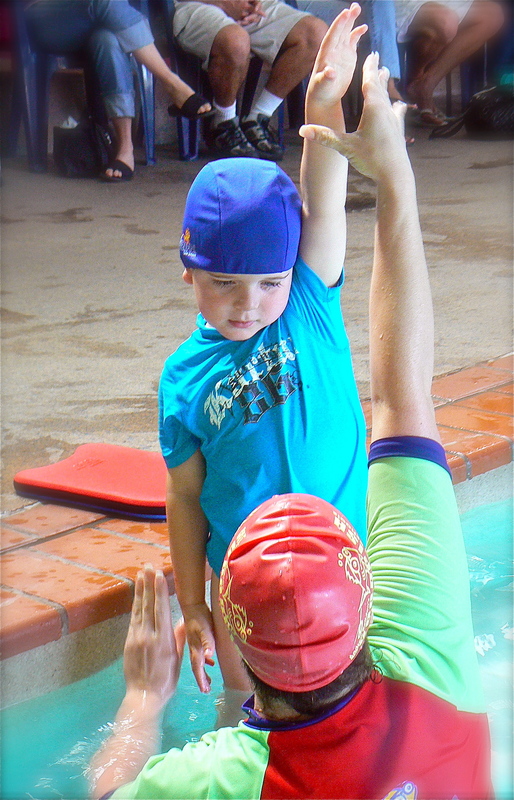 How does my child join a Superfish Swim Schools swimming program? In most levels of our swimming program, students will be required to have a swimming assessment (babies, toddlers and beginner swimmers will not need an assessment). What swimming level will my child be in? The other students in the classes booked, will be of a similar age, ability and standard, consistent with their assessment. 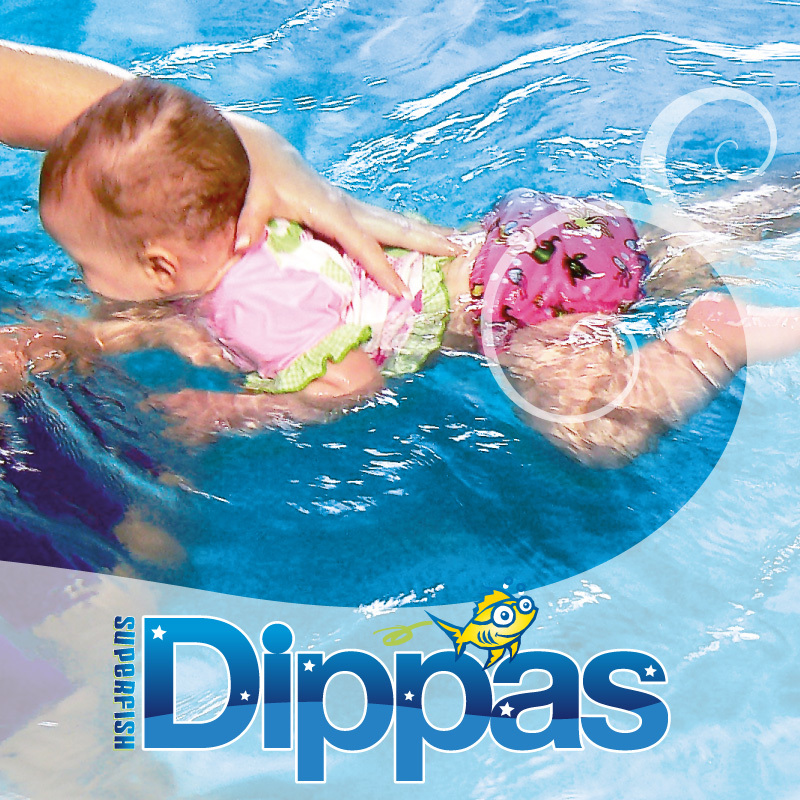 What days and times are available for swimming lessons? We conduct swimming lessons 6 days per week, Monday to Saturday, from 7am to 1pm and then from 2.30pm to 6.30pm. Our office staff will assist you in finding days and the lesson times that suit you. Are the Superfish Swim Schools pools heated and indoors? Yes, our swimming pools are totally indoor and heated to an average of 31.5˚, offering your family year round swimming facilities. Our pool water is checked three times a day for correct chlorine and PH levels. We consistently maintain our pools so they are always in the healthiest condition. The pools are specifically designed for teaching and coaching. We provide comfortable, heated change facilities, parent viewing area/grandstand, children’s enclosed play area with TV/Video and café. What do I need to bring along for swimming lessons? Do you offer make-up swimming classes if my child is sick? Yes we do offer make-up lessons. Please carefully read our Policy Information Booklet for full details. What is the recommended number of swimming lessons each week? We recommend a minimum of 2 swimming lessons per week as an ideal, manageable, productive amount of weekly lessons in a drowning prevention and learning to swim program. Think of ‘Actual’ swimming lesson time: One ½ hour lesson per week = only 2 hours swimming time per month. By attending 2 lessons per week, doubles the swimming time to 4 hours per month. Regular, consistent lessons is the only way to re-enforce life saving drowning prevention drills and learn to swim skills. It has been proven that attending 2 lessons each week actually accelerates the learning in a drowning prevention and learn to swim program at 4 times the rate of attending lessons once per week. DID SOMEONE SAY FREE LESSONS?